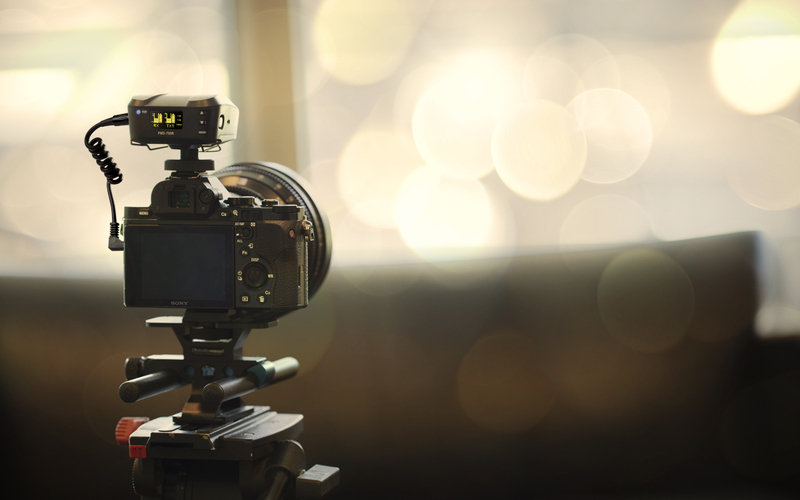 Designed for professional DSLR filmmakers, the PMD-750 Series Camera Mount Wireless System is compact and simple to operate. The lightweight build is perfect for camera and rig-mounting, but rugged enough for daily field use. 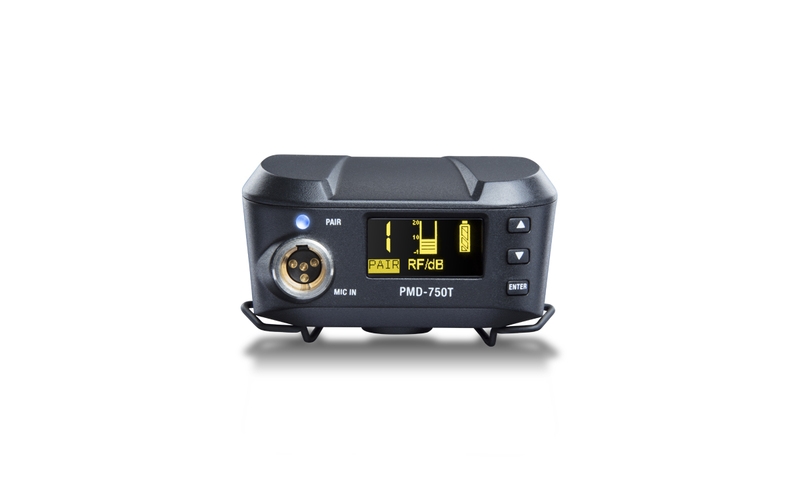 The PMD-750 system includes everything needed to get up and running…PMD-750T beltpack transmitter, PMD-750R camera-mount receiver, omnidirectional lavalier microphone with two styles of windscreens, and receiver output cable. 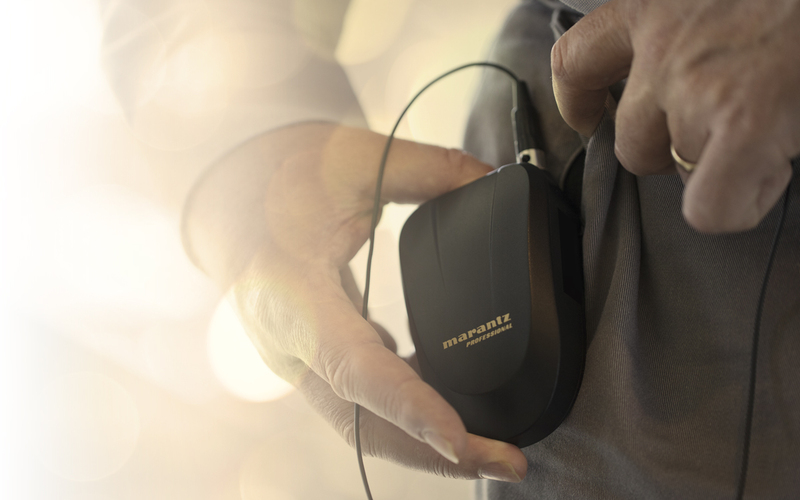 The system also features locking 4-pin mini-XLR input and output jacks for secure connectivity, robust beltclip on the transmitter, and secure hot shoe mount on the receiver. The user interface is simple to use, and the OLED screens on the components are easily readable outdoors in sunlight. 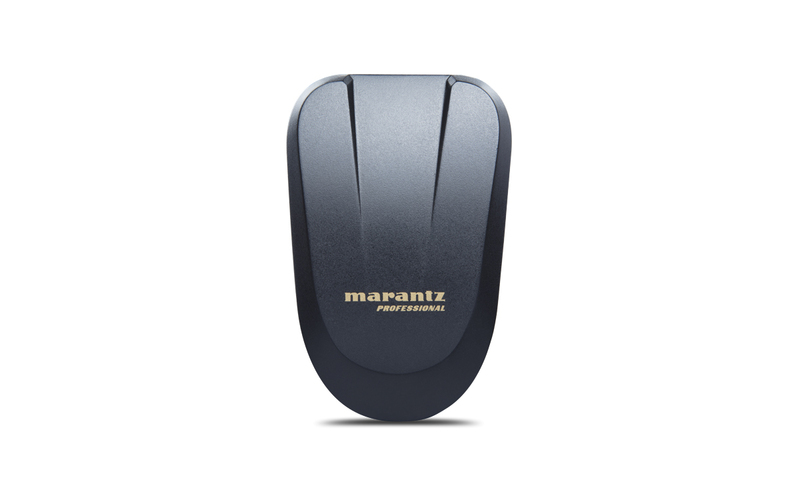 The apex of the feature list is the ability of the PMD-750R receiver to pair with two separate transmitters. 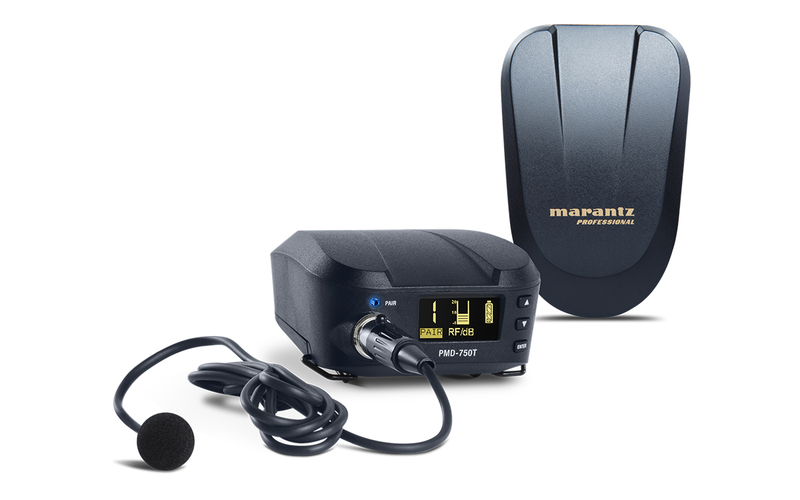 The PMD-750TA plug-on transmitter for dynamic or battery-operated condenser wired microphones is available separately. 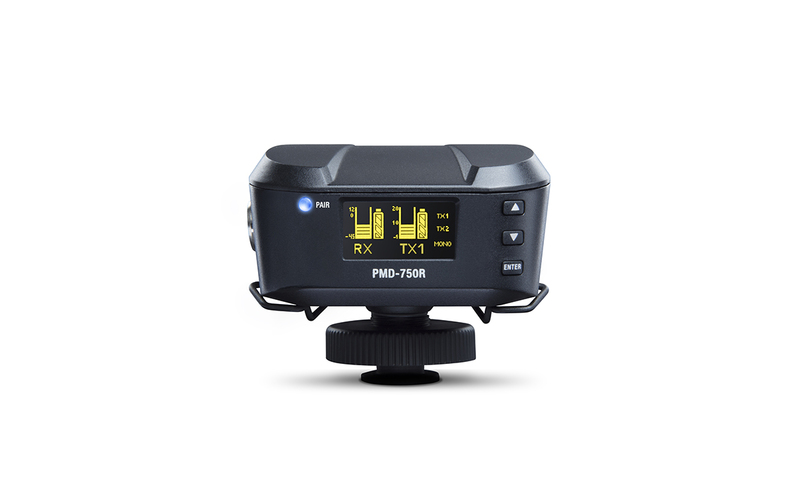 The PMD-750T beltpack transmitter is also available as a separate item, ready to expand the PMD-750’s versatility. The system is perfect for any type of DSLR shooting requiring remote microphones, such as interviews, special events, ENG, and corporate trainings.